I received tickets to attend this event in exchange for this review. 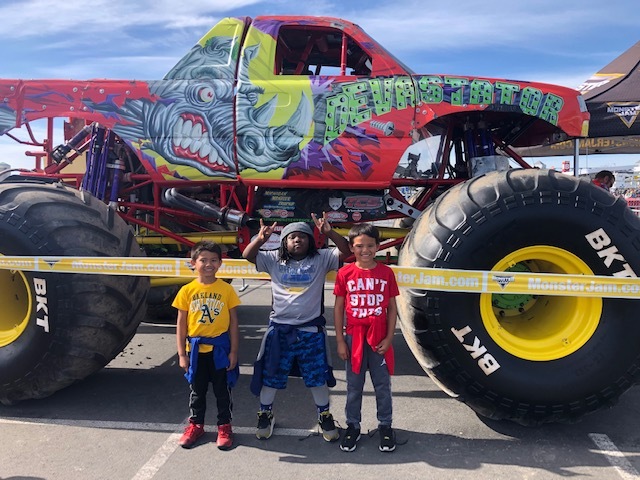 The boys and I had our very first Monster Jam experience over the weekend in Santa Clara at Levi’s Stadium. Our outing was an exhilarating, adrenaline-filled rush, and we even got to get up close with these larger than life vehicles. Plus, the boys had the opportunity to meet the driver’s and get autograph’s too! 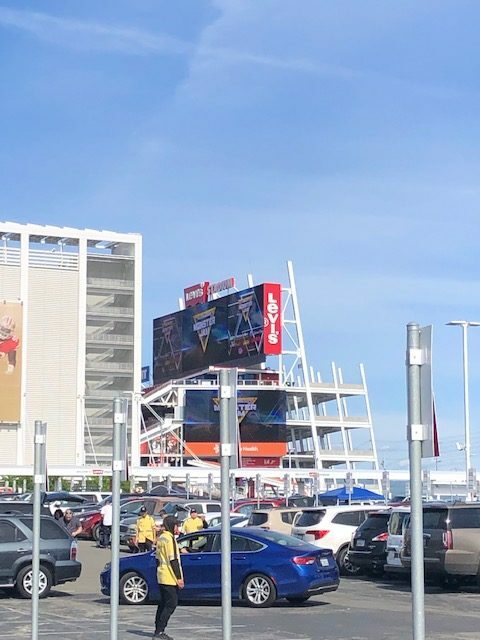 We arrived at the stadium a few hours before the show started for the Pit Party – it’s a separate ticket than admission to Monster Jam (but you must also have show ticket to get in), and it was very cool to have the opportunity to get up close to the vehicles. The boys were super excited to meet the driver’s ask questions and take photos during the Pit Party! My favorite questions they asked the driver’s were, “How do you get in there?” also, “Is it comfortable?” LOL! 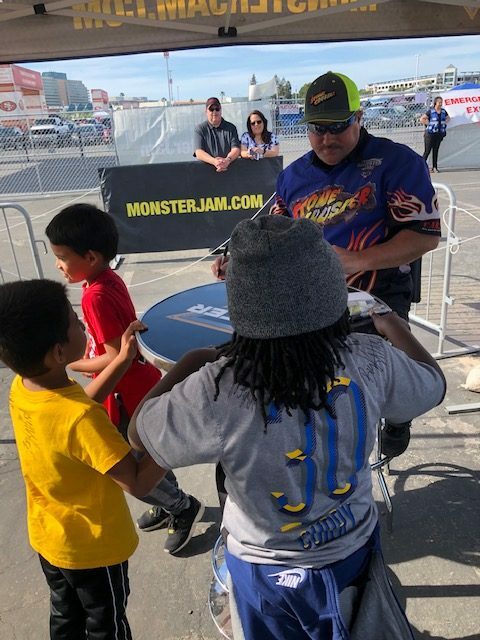 Meeting monster truck driver’s for Big Kahuna, Bad Company and Hooked. Also posing with the Monster Mutt Dalmation. After we made the rounds in the Pit Party, it was time for the show. I did bring ear plugs for the event. 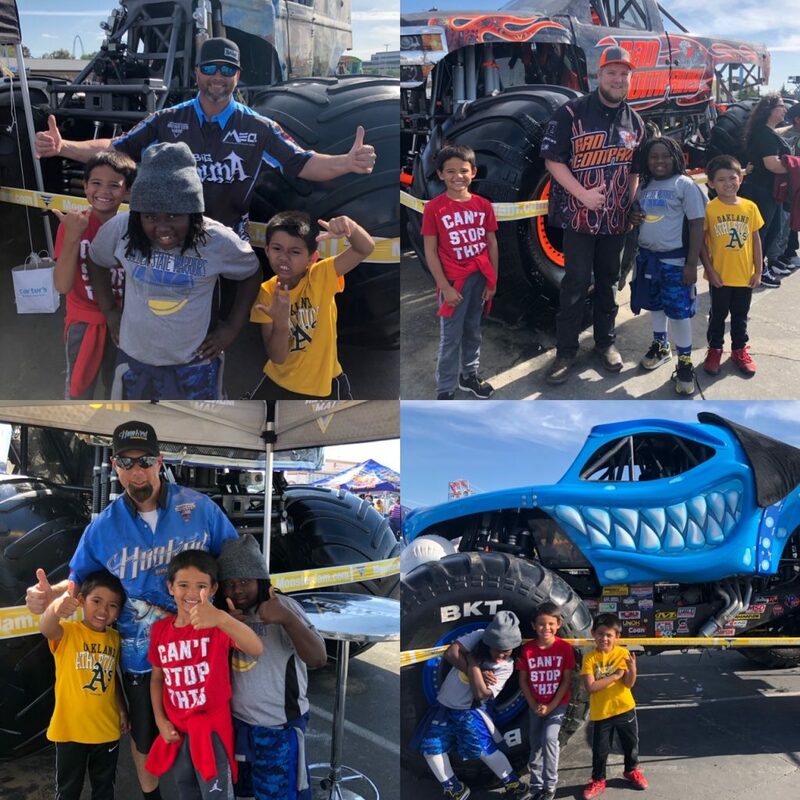 These monster trucks make a lot of noise and depending on your hearing sensitivity, it’s a good idea to have a few on hand. Also, I think the younger kids would definitely need noise canceling headphones to comfortably enjoy the show. We were lucky enough to have seats in the lower bowl, so not only was it loud, it was pretty dusty. Since it was our first show, there was a lot to learn. 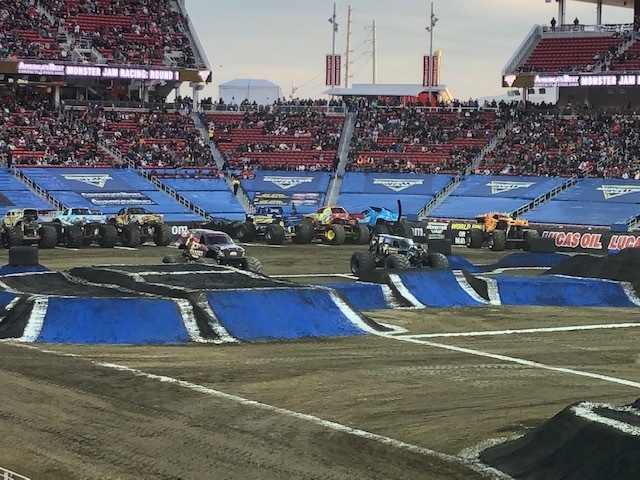 Not only is it super entertaining and fun, but these trucks are actually competing and earning points in different categories in order to compete in the World Finals. Grave Digger was certainly a crowd favorite, my favorite event to watch was the riding on 2-wheel competition. All in all, it was a fun night out with the boys, and we’ll definitely be back!